July 2.87 runs per game. This is unsustainable and had led to a -16 run differential. Things need to be fixed quickly to reverse these trends or the Mets run the risk of letting the season get away. For the purposes of this post, I’ll take the front office at face value and assume a trade can’t be competed just yet. Also, I’m not going to waste my breath here about bringing Conforto up to the majors (that’s for another time). The front office has made it clear he’s not getting called up. However, that does not mean something can’t be done now. First: Transfer Wright to the 60 day disabled list. He’s been gone for 60 days already. Not putting him on the 60 day DL is roster mismanagement. Once Wright is put on the 60 day DL, the Mets can call up someone not in the 40 man roster. Second: Call up Matt Reynolds (he’s not on the 40 man roster) and install him as the everyday SS. Let’s face it – since the day the Mets refused to resign Reyes, Tejada had been given several chances to become the everyday SS and failed. In this latest attempt, he had a triple slash line of .255/.322/.360 and a UZR of 0.8, i.e. he is bad at the plate and average in the field. CORRECTION: after posting this I learned Matt Reynolds is on the 7 day DL. Third: Outright Alex Torres and recall Logan Verrett. This would leave the Mets with only one lefty in the pen, Sean Gilmartin, who is not a LOOGY. However, Torres isn’t effective against lefties. Lately, he hadn’t been effective at all. In a small sample size, Verrett has been largely effective for the Mets. 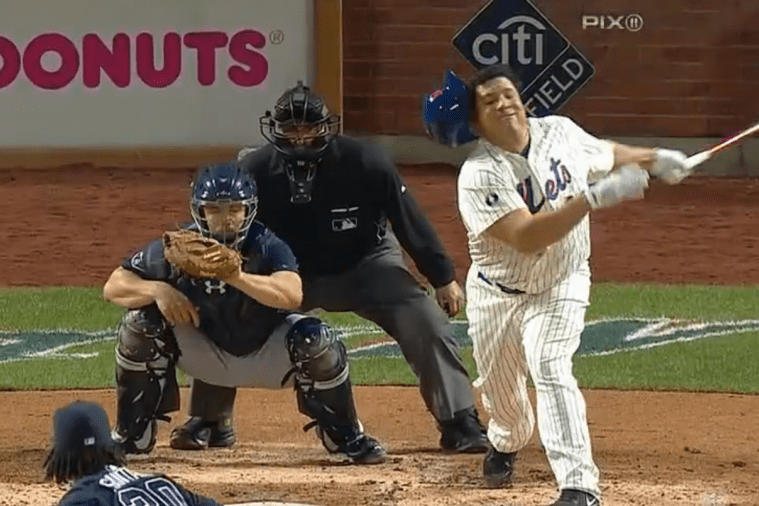 Fourth: Recall Dilson Herrera, bench Wilmer Flores, and release John Mayberry, Jr. In his last 10 games, Herrera is hitting .359 with a .390 OBP. He’s hot. Flores has been bad defensively and at the plate. However, he does have some pop in his bat and could be an effective PH. To make room for Herrera, Mayberry should be released. He just hasn’t hit. He’s taking up a valuable roster spot right now. Fifth: Call up Travis Taijeron and send down Danny Muno. I know I joked yesterday about Taijeron and the Mets need for more minor leaguers. However, this post is seeking drastic measures to help this team, which is best done by eliminating most of the bench. This season Taijeron’s triple slash is an eye opening .271/.395/.523. Why hasn’t he been called up? Well he is not a highly thought of prospect having been drafted in the 11th round in 2011. Why send down Muno? He’s bad at baseball. Travis Taijeron is not in the 40 man roster, but I am comfortable exposing Wilfredo Tovar to waivers. With all the machinations, the Mets have mostly retooled their bench (except Nieuwenhuis and Recker) and they find out what they have in Reynolds and Taijeron. Also, it creates a spot for with Nimmo or Conforto in AAA and possibly Gavin Cecchini as well. Maybe I’m wrong, but at least this is something. The Mets offense has averaged 2.87 runs in the month of July. Murphy was horrid in the field. Lagares has either lost a step or is playing out of position. The Nationals came to play and the Mets didn’t. Doesn’t matter. If you’re Matt Harvey and you want to be the ace, games like Monday don’t happen. I can point to all the things that went wrong leading to the 5 runs scored while he was pitching, but the fact his he set up two of the scoring rallies by allowing Espinosa to get on and walking Harper. Should Murphy had made the play or at least knocked it down? Probably. Should Mayberry have been charging the ball better than Cuddyer can right now? Definitely. Should Tejada have had a clue and thought about Harper at third? Yes. Does Lagares catch that Robinson double last year? I think so. However, I also think it’s fair to say too much has been thrust on Harvey. Most pitchers falter the year coming back from Tommy John surgery only to round into form the next year. (for e.g. Adam Wainwright). Unfortunately, with the way this roster is constructed, Harvey cannot learn his way back. He has to be THE MATT HARVEY now. I have faith he’ll dominate next week against the Nationals. My faith is based upon his will to compete and his ability. I only hope by then the Mets have something to play for, and the Mets are at least competent at the plate and in the field. No, this is not a post regarding the Mets inability to obtain more offense while being in the middle of a pennant. Rather, this is more about somehow Mets fans were ranked #27 in all of baseball. At first, my eyes popped out of my head. I couldn’t believe it. Apparently, there were others who shared in my disbelief. While, I don’t necessarily share some of Jayson’s Starks conclusions, specifically that “Mets fans ought to rank below Yankees fans,” I think he is correct that the data is skewed. Note, this is not meant to be a hack job on the person who wrote the piece. Obviously, the writer put some time and effort into this, and I do not think she deserves to be torn to shreds. However, when analysis like hers is put out there, I do believe the work should invite some scrutiny. In order to be fair, I decided to not only look at the factors, but also the raw data (which does not include the formulas to compute the raw data). My first issue was the selection of 2014 as a basis for Power Rankings. By their very nature, Power Rankings are supposed to be a current picture of the teams in a sport. Notably for the Mets, the team has seen an increase in attendance from 2014. I’m sure this rise will have an impact on the 2015 Power Rankings, but then we will be in 2016, which will be a much different year than 2015 was. My second issue is the selection of average attendance as a percentage of stadium capacity. The major flaw here is that the numbers are not weighted or adjusted for the home ballparks. Fenway Park is reported to have a capacity of 37,673, which is one of the lowest in baseball. Meanwhile, Dodger Stadium has a capacity of 56,000, which is the largest in baseball. How do you reconcile these numbers especially when the Dodgers play in a two team geographical area and when teams are known for manipulating attendance figures? What I also don’t know if the figures were predicated upon sales or “turnstyle” data. My third issue is the secondary market criteria. The author presents the information as being driven by demand without explaining how or why that is. While I agree demand is one factor, it is not the only factor. This also forgets average ticket prices. The Red Sox, Yankees, and Cubs have the highest average ticket prices. Therefore, naturally, the resale of these tickets will go for a higher price because the people selling these tickets want to gain a profit, or at a minimum, break even. Next, the secondary market price is driven by the team performance. A 2014 ticket for the Mets in September was not as in demand as a ticket for the Royals. The Royals were competing for the second Wild Card; the Mets’ season had been over for months. Also, I did not see how this secondary price was presented in the raw data (although admittedly a smarter person than I could probably explain to me where it was reflected). My fourth issue is the use of Forbes annual team revenue as a factor. This relies on Forbes’ valuation model without fully knowing what goes into Forbes’ model. In fact, did you know that one of the Yankees’ revenue generators is the ownership of the YES Network? I don’t see how the value of the YES Network should factor into analysis of who is the best fans in baseball. Also, profits from jersey sales are not a factor in the computation of team value. Accordingly, if your team leads in jersey sales, it is not reflected anywhere in team revenue and/or popularity. To be fair, the author stated she weighed this lower than the ticket sales information, but how low? We don’t know that. The fifth, final, and biggest issue was the percentage of social media fans as a percentage of the metro area population. First and foremost, how is the metropolitan areas defined? Was the Yankees metropolitan area just the Bronx or did it include all 5 boroughs, upstate New York, and Northern New Jersey? Was all of New England incorporated into the metropolitan area for Red Sox Nation? How was San Jose treated in this analysis vis-a-vis the Giants and the Athletics. Also, when there are two teams in a metro area population, how was the data weighted? It’s easy to dominate a metro area when you’re the Reds and you’re the only show in town. Indeed, the data shows the Reds have a 85.15% Twitter following (however that 85.15% is derived – seriously I don’t think 85.15% of the twitter accounts in Cincinnati follow the Reds). However, it should be noted, these same Reds only have a Facebook percentage of 49.63%. Now the data does seem to bear out teams generally have a higher percentage of Twitter followers than Facebook followers, but why? Is there something to be said about a team’s social media activity and the percentage of followers? Furthermore, as the San Jose controversy shows teams not only have their local metro area rights, but they also have other geographic rights. Are the metro area and geographic areas one in the same? We don’t know from this analysis. Overall, I don’t know if there is a better way to calculate “MLB Fan Power Rankings” other than what the author did here. The reason for that is because there really is no good method. Even though I don’t know of a better method, I do question why certain data was omitted. For example, I don’t know why something like ratings wasn’t included on this list. Isn’t it important whether a city ACTUALLY WATCHES ITS TEAM PLAY? Furthermore, is there any relevance as to what ESPN and Fox selects as its nationally televised games. Their selections are based upon ratings, which are based upon factors such as popular teams, players, and fanbases who watch their team. Also, why wasn’t any the data adjusted for team performance? Looking at the last link regarding ratings, there is a snippet there which shows as the Mets have improved this year, there was a “27% growth in viewership for prime time games over last season.” I also question why the same websites’ criteria is different for the NFL than it is the MLB? There was nothing in these rankings regarding total attendance. Since this analysis was performed across different sports by the same website, I also find it interesting there wasn’t a sport to sport analysis. For example, the Steelers were found to be the fifth most engaged, whereas the Pirates’ fans were ranked eighth. Does this have any meaning at all? Overall, I am not going to be an obnoxious like Cardinal fans and declare that Mets fans are the best in baseball (let’s see them hit hard times and find out what happens to their fandom). However, I refuse to accept the Mets are 27th based upon flawed criteria. While I am not a Mets fan obsessed with retaking New York, I have more faith in Mets fans than to dismiss them as one of the worst in baseball. Mr. Mets is awesome. He is one of the best parts of the entire Mets organization. He was the first ever mascot to step onto the field, and he has been a legend ever since. Forbes magazine has named him the best mascot in all of sports. Similar to our beloved Tom Seaver, Mr. Met is also a Hall of Famer. He even has his own money! The story of Mr. Met has been a story many have sought to tell. Paul Lucas has done phenomenal work trying to uncover who is the creator of the famous mascot. ESPN has dedicated one of its awarding winning 30 for 30s to find out who is the man inside the mascot. He was even the subject of a feature in Rolling Stone. Needless to say, Mr. Met has not only captivated the hearts and mind of Mets fans, but also the entire world. 11:20 a.m. 12:20 p.m. 3:20 p.m. 6:20 p.m. 7:15 p.m.
Mr. Met is always there rooting along with us Mets fans. Win or lose, he always has a smile on his face (of course he does, he gets to go to all the Mets home games). His smile greets Mets fans as they come to Citi Field, and it is there when we make our way home. I also find Mr. Met is always at his best around young Mets fans. I look forward to more memories like this with my son, and God willing, future generations of Mets fans. Thank you Mr. Met. After watching the Mets-Cardinal series, it’s easy to be negative . . . I know I was. The Mets got blew a great Thor game, we saw the fork sticking out of Colon, and then watched them take 18 innings to score three runs. However, it’s the beginning of a new week, so let’s start that week off with some optimism. Going into the All Star Break, the Mets were 2 games behind the Nationals (3 in the loss) with 12 games yet to play against them. After an awful weekend in St. Louis (and really is there any other kind there), the Mets are still in the same position. Now, the Mets come storming into Washington with Harvey, deGrom, and Thor. The Mets are ready to throw down (yes, the pun is intended). This was Sandy’s rebuilding plan come to fruition. No matter how bad the offense is or how much it is struggling, good luck trying to score. Harvey has a 16 inning scoreless streak, deGrom has given up 12 runs in his past 10 starts (not including the All Star Game), and Thor’s last four starts have seen him allow 2 ER or less. The Mets have been brutal on the road, but their three best pitchers are going out there. This is a pennant race. Through everything that has happened thus far this season, I’m still excited. Lets Go Mets! ZZZZZZZ . . . Huh? What? Mets Finally Scored? It took 18 innings to score 3 runs. Mets finally win. They’re offense is pathetic. Bullpen is better than expected. All starting pitchers not named Colon pitch well for the Mets. This game summary is longer than this game warranted. The Mets lost to the Cardinals again. Going into the second half of the season, the conversation has been about the Mets’ great rotation. Truth be told, this rotation has three pitchers pitching like aces right now, an improving Niese, and a failing Colon. I don’t know how many people realize just how bad Colon has been this year. He has a 4.86 ERA. That’s terrible. Seriously, why is he in the rotation? Is it because he eats up innings? Well not exactly. His last five games here are his innings pitched total: 4.1, 6.0, 7.0, 6.0, and 4.1. Is it for his entertainment value? I doubt it. Is it because with the Matz injury, there are no better options? The only other realistic option right now is Dillon Gee, who is 0-3 with a 5.90 ERA. I think we need a take a deeper look into Gee. Most of the damage came from his last two starts; starts he made after being jerked around by the Mets. He came off the DL and had a bad start. Then he gets sent to the bullpen and only gets one appearance for 1.2 innings giving up one run. Then out of nowhere the Mets decide he needs to make a spot start, and it was horrendous. After spending time in limbo after being outrighted, he had a rough start in Las Vegas. When you look at Gee’s numbers, you have to keep in mind the PCL is about a hitter friendly league as it gets. Despite the struggles, he seems to have found himself and turned things around. Here are the numbers from his last few starts: 7.0 innings 2 ER; 6.0 innings 4 ER; 6.1 innings 1 ER. The numbers aren’t amazing. Rather these are the numbers of a capable major league pitcher. For those watching the game Saturday, did Colon look like that? Despite the Mets mismanagement of Gee, he’s improving. Colon is getting worse. It seems like the Mets want more for the $11 million going to Colon than the $5.3 million going to Gee. These penny wise pound foolish decisions are hurting a team with no margin of error. The sooner the Mets admit Colon is done, the sooner they can help themselves. According to Marc Carig of Newsday, it seems like the Mets will not go for the available top shelf outfielders, but rather seek out Will Venable or Gerardo Parra. Similar to Carlos Gomez and Justin Upton, their contracts expire at the end of the year. However, unlike Upton and Gomez, Venable and Parra will most likely not receive a qualifying offer. This is very important because of the prospect price. Besides being better players, Upton and Gomez have a higher price tag because if the Padres and Brewers respectively offer them a qualifying offer, then the team that signs them forfeits their first round draft pick (second round for 10 worst teams in baseball). Therefore, if you want Upton or Gomez, you need to offer first round talent for a trade to even make sense. First round talent is equivalent to Matz, Conforto, Thor, and pretty much every player you don’t want the Mets to trade. So that leaves us to decide whether Venable or Parra is the better player. For my money, I’d rather have Parra. First and foremost, he’s got a great glove. I know the Mets need offense, but with Lagares’ problems on offense and his injury, the Mets could use Parra to play left or center. I know Venable plays center for the Padres, but that is more akin to the Mets playing Cedeno and Burnitz in center in 2003, i.e. poor roster construction rather than capability. On top of the offense, Parra rates as a better bat. Parra has a triple slash line of .311/.345/.502 to Venable’s .258/.328/.408. I know Miller Park is a hitter’s park and Petco is a pitcher’s park, but Parra leads in OPS+ (130 to 108). For comparison, the Mets best offensive weapon this season, let alone outfielder is Granderson with .247/.344/.429 (OPS+ of 115). So if the Mets make a move, Parra would be the prudent move. However, even if the Mets get him for a reasonable price, that still leaves holes at SS, LOOGY, and the bench. That’s why I again reiterate, there are too many moves that need to be made now. It is better to sit pat and maybe wait to see what is there in August. Sometime before the season, the Mets polled fans to see if they prefer Saturday games to be in the day (1:00 start) or the night (7:10 start). I think my feelings on the subject have changed. In my opinion, I prefer day games. You can get to the game early and have lunch while taking in batting practice. After the game, you leave and still be home in time for dinner. However, when I’m home watching, which is most of the time, I prefer a night game. If the game is on during the day, I just can’t watch it. I’d rather play with my son or take him out somewhere fun. As most parents will tell you, the weekends go from relaxing to always being on the go. If I’m lucky, I can listen to the game on the radio with all the craziness. If the game is at night, I can wind down from the day and watch the beginning of the game with my son as he falls asleep. It wasn’t until last night that it occurred to me that it could be the Mets offense and not tiredness that puts him to sleep. But I digress, I prefer night games now, and I’m sure I’ll change my mind a million Times as he grows up.